Butterflies belong to the order Lepidoptera. There exist approximately 160,000 different species of butterflies in the world! They are an extremely diverse group when compared with the 2000 species of praying mantids, for example! Butterflies are found worldwide, even above the Arctic Circle, but they do not occur on Antarctica. Butterflies undergo complete metamorphosis; this means the early stages of life do not resemble the adult life stage at all. Butterflies are always born as caterpillars. Tiny caterpillars hatch from small eggs. Immediately after hatching they will start to eat leaves of specific plants (their host plants). The caterpillar will grow, but because it has a rigid outer skeleton (their skin provides rigidity, like our inner skeleton) it has to shed its skin to be able to grow. Most species shed their skin four times when in their caterpillar stage. Each time the caterpillar sheds its skin it will grow, and sometimes it will also have different colors after its molt. When the caterpillar reaches its final caterpillar life stage, it will make a cocoon with silk that it produces with its mouth. 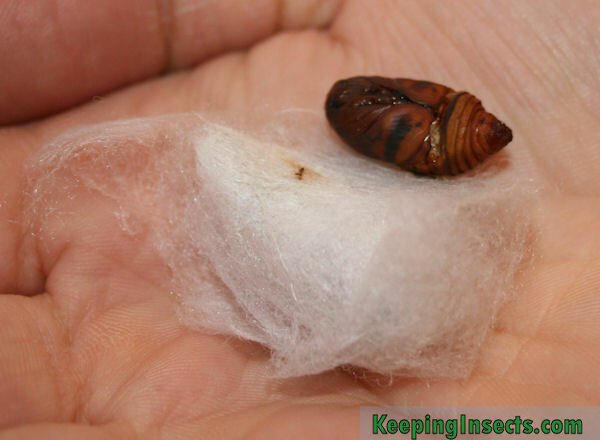 It will completely cover itself in this silk, making a protective cocoon. Inside this cocoon the caterpillar will shed its skin again, changing into a pupa. Inside the pupa the caterpillar transforms into a butterfly. When it is finished, the butterfly will open the cocoon and sit close to it to inflate its wings. 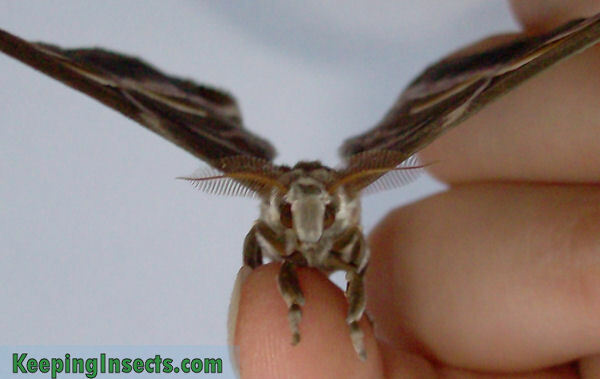 The butterfly will first pump body fluids through its flat wings, making them expand. Then it will replace the fluid with air and lets its wings dry. After that, the butterfly is ready to fly off! 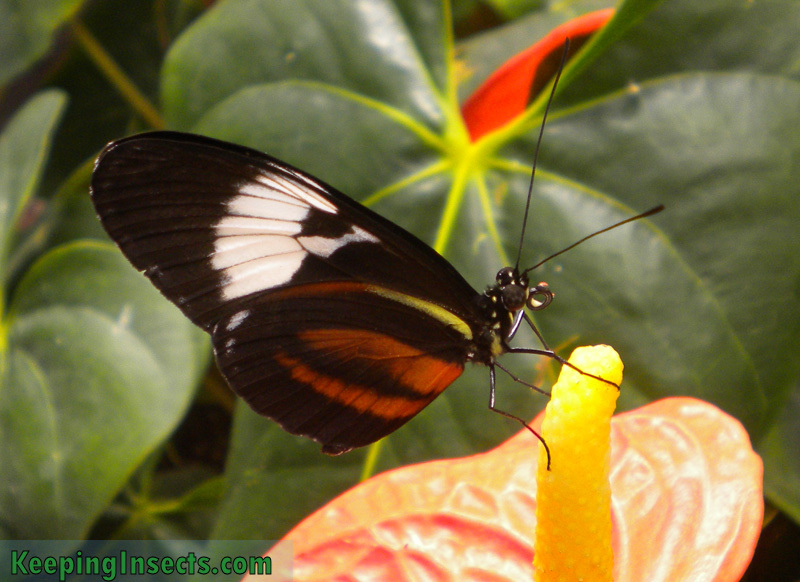 Like any insect species, the adult butterfly has six legs, two antennae, two wings, a head, a thorax and an abdomen. Caterpillars have a head, followed by a section with six legs and then a section with ten prolegs (some species have less prolegs or none at all). The six legs are its ‘true’ legs: later when the caterpillar becomes a butterfly it will have these same legs. These six legs are pointy and designed to get a hold on the edge of leaves and such. 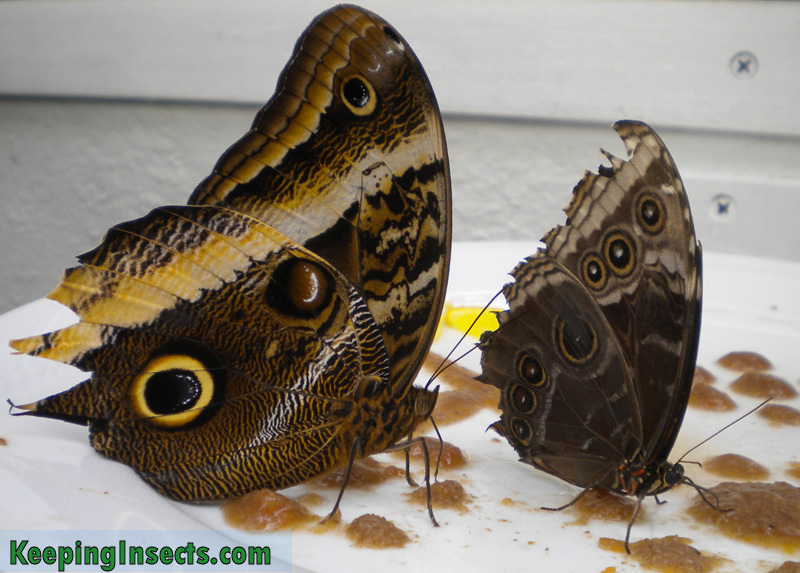 The prolegs only occur on caterpillars and will be disappear when the caterpillar transforms into a butterfly. These legs have suction pads and are especially designed to adhere to flat and smooth surfaces, like smooth leaves. Butterflies have all the sense we have (sight, smell, hearing, touch and taste), but they rely mostly on smell, touch and taste. Their sense of smell is not located in their nose (they do not have one), but is located in their antennae and even their feet! Butterflies also taste with their feet, stepping on nector or host plants to taste if this is appropriate food for them or their offspring. The other senses of a butterfly are not well developed but serve specific functions very well (e.g. sight = escape from predators and finding of flowers, but no detail and no stereo-vision). Caterpillars also have all senses, but they probably have them even less developed than butterflies. This is because a caterpillar generally can not do more than eat and walk at a very slow pace. Excellent senses will not help it to perform better. They use their sense of smell to identify food plants.